Set within a prestigious grade II* listed Georgian style row within exclusive garden park for residents; a stunning 2 double bedroom, 2 bath/shower room courtyard garden apartment, of circa 1300 sq.ft., with private front and rear courtyards. 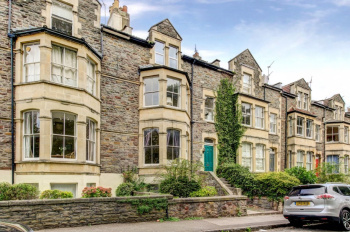 Convenient location tucked away and yet close to Clifton Village and offering easy access to the Downs, Whiteladies Road, Park Street and the city centre. 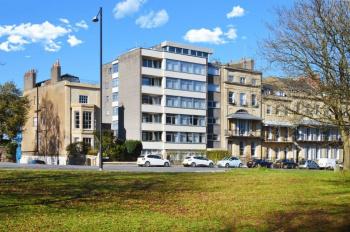 Worcester Terrace benefits from one of the most marvellous and extensive communal gardens set in one of the finest terraces in Clifton Village the property occupies a discreet location within a few hundred yards of Clifton Village yet enjoys a refined and tranquil feeling. Accommodation: entrance hall, kitchen, utility room, reception 2/dining room, sitting room, bedroom 1, bedroom 2, study/dressing room, bathroom/wc and separate shower room/wc. 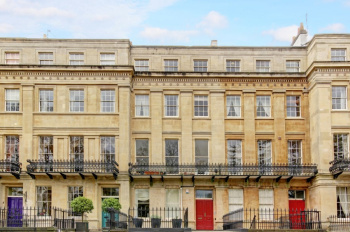 An exceptional, 2 double bedroom hall floor apartment set within an iconic grade II* listed Georgian style terrace fronting tree-lined Victoria Square, having 20ft x 15ft drawing room and 11ft high ceilings. 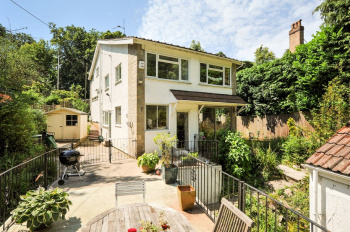 Located within a highly sought-after location in Clifton Village. Accommodation: entrance hallway, kitchen, drawing room, bedroom 1, bedroom 2, bathroom/wc. An excellent principle reception room with a southerly aspect and 11ft high ceiling situated in a very attractive grade II* listed Georgian style building. 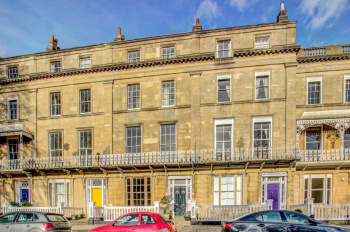 A superb 2 double bedroom garden apartment set within this magnificent Victorian period building, with front and rear courtyard gardens, set in a prime position a short walk of Clifton Village and the green open spaces of Christchurch Green and Clifton Downs. A warm and welcoming 2 bedroom apartment which offers a homely feel and benefits from a charming private enclosed rear courtyard garden. Accommodation: entrance hallway, sitting/dining room opening into kitchen area, bedroom 1, bedroom 2, family bathroom/wc. Outside: courtyard front garden and fully enclosed rear courtyard garden with useful rear access gate. The apartment enjoys the benefit of gas central heating and is presented to a good standard throughout. Located in the Clifton Village residents parking permit zone. 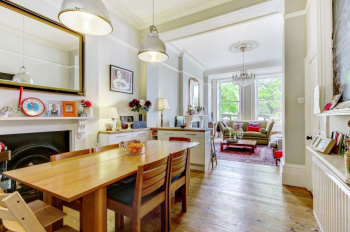 A bright, airy and well-proportioned 2 bedroom second floor flat, circa 753 sq. 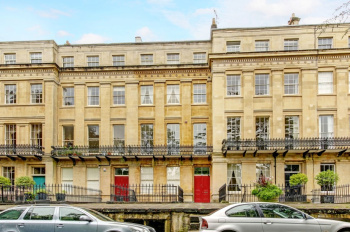 ft., set within this attractive grade II* listed building overlooking the beautiful Worcester Terrace communal gardens. Clifton enjoys and enviable reputation with an eclectic and diverse range of boutique shops, bars, restaurants and further essential services. The architecture is varied and striking with 400 acres of open space found on the Downs just under a mile away. 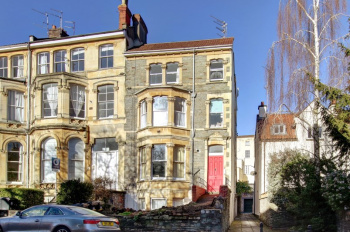 Located within the Clifton Village residents parking permit scheme. 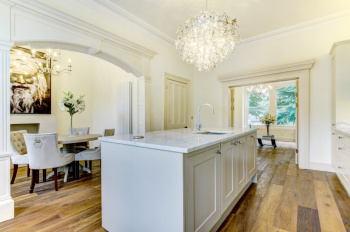 The property benefits from a wealth of period detail and character with high ceilings, large multi-paned sash windows, ceiling cornicing and fireplaces.